Multi-city flights from Luxembourg to Mexico City and San Salvador for €538! American Airlines return flights Barcelona to Bolivia €393 or Peru €420! Air France / KLM cheap flights Geneva to Hong Kong €324 or South Korea €362! Exploring two usually fairly expensive cities at once is possible with KLM and their partners. 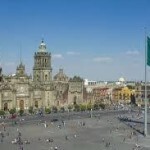 Multi-city flights from Luxembourg to Mexico City and San Salvador at once are now available for €538. Very limited availability though but if you are a bit more experienced traveler planning tovisit Mexico and El Salvador this is good option how to save. Fare is including all charges and fees and checked bag. As mentioned very limited availability thought. Look for flights departing from Europe to North / Central America at the end of April or beginning of May 2018. Can not find proper itinerary you can reach us via FB or at info (at) flynous.com. To book your hotel in Mexico or El Salvador you can use this Booking.com or Hotels.com offers. 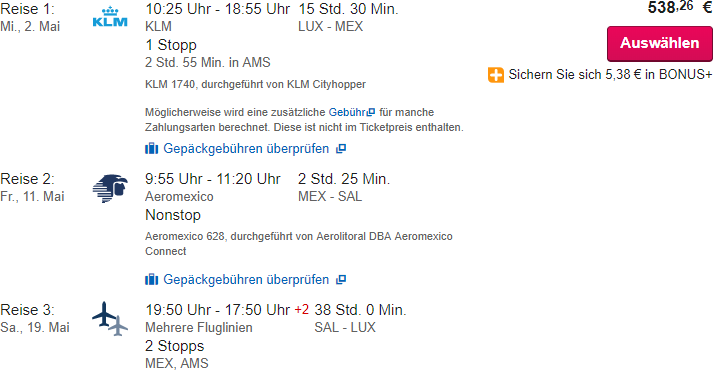 Booking sample of Air France / KLM Multi-city flights from Luxembourg to Mexico City and San Salvador for €538! As also in our above booking sample you would depart from Benelux to Mexico on 2nd of May. From there you would fly to San Salvador on 11th of May. Finally you would return from Central America to Europe on 19th of May 2018.